Check out 28mm’s LV artist page for his social links, music and other related articles! Based in Brooklyn, New York, 28mm grew up in New Jersey before spending time in New York and LA after high-school. A techno producer first and foremost, the most inspiring characteristics of his chosen genre are the dark brooding nature of the sound, minimal prodution and driving grooves. 28mm’s journey into DJing and production began in 2014, as he turned 18 and was finally able to go to shows! The free 5 years of mau5 release show was happening in New York at this time and as a fan of deadmau5, he was excited for this to be his first show. That said, it wasn’t actually deadmau5’s performance that turned him on to DJing/ producing but the opening act Eekko and 28mm feels that Eekko’s darker sound is a lot closer to what he produces now. When not making music, 28mm works on a variety of art and design projects. To him this is exercising a different side of his creative mind and it helps him deal with creative block. In fact, the name 28mm comes from his love of photography and the 28mm camera he was using at the time. Icon came up while searching for music schools to attend and 28mm liked the look of both the courses on offer and the alumni (e.g. Jauz, Protohype) and thought it had a lot to offer. The application process is straightforward but is focused on assessing passion and fit for the programme. His favourite part of the LA-based programme was the mentor sessions where, one-on-one with experienced professionals he shaped his sound and developed his DJing, producing and branding skills. 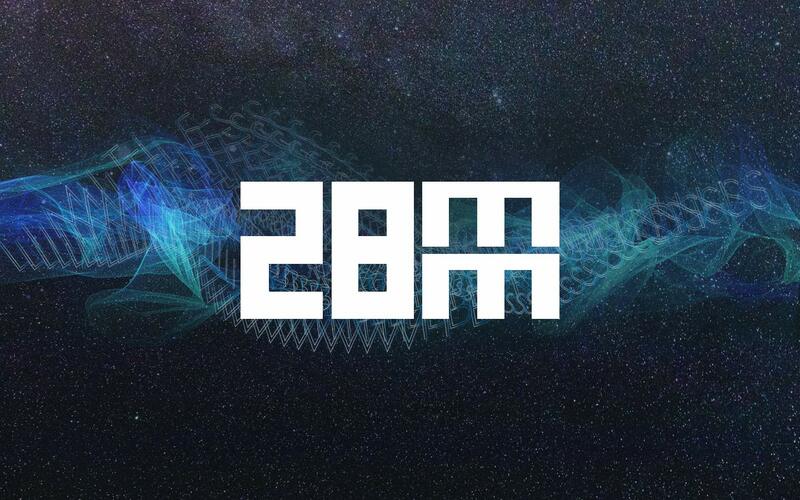 28mm is a member of Deep Tech LA, founded by Redux Saints (one of the remix artists on his Re: Companion EP) in 2017. He made contact through one of his Icon Collective mentors, who shared his track Front Left with Redux Saints, who signed it straight away for the DTLA Vol 1. compilation. The best thing about Deep Tech is that so many people are involved and support each other, even outside of the compilations, with their releases, feedback and much more. After LA, 28mm found the New York scene very different. The West Coast scene tends to focus on festival-ready sounds, big room, etc. though it does have an underground tech house, techno and small warehouse scene. In New York, while most Manhattan clubs are deep into rap and urban sounds, in Brooklyn everything is house and techno and he can walk to 3 to 4 different clubs from where he lives. Likewise, in New York things happen every day of the week, whereas in LA 28mm found nothing happened much outside of the weekends and having to drive everywhere (compared to the convenience of New York’s subway) was a pain! For his day-job, 28mm works in A&R for the Music Development Agency. They are a music strategy company that helps artists pull together anything from release planning, to social media, to music videos, as well as helping consumer brands find the right artists to achieve their goals. New York has a lot of record labels and through this, 28mm has acquired many contacts and increased his industry knowledge. Bounce out your pre-master with some decent headroom (at least -6dB) to help avoid clipping in the master. Import your bounced pre-master into a new project file, to help enforce separation between the mixing and mastering stages and avoid expending CPU on any processing you applied in the mixdown. Use the “limiter stacking” method to maximise the tracks volume, while keeping the signal distortion free. This technique involves a series of limiters, with increasing effect (e.g. +-0.1dB, +0.5dB, +1dB, +6dB), rather than a single limiter adding +10dB. 28mm is a long-time Logic Pro X user and leans on many of the stock plugins. He doesn’t use many third-party plugins but does use them for soft-synths (e.g. Sylenth) and reverbs (like the popular ValhallaDSP suite). In terms of hardware 28mm uses a Resident Audio T4 audio interface and Yamaha HS7s but currently nothing else. If cost wasn’t a factor, after a lot of research (!!!) he’d like to dive into modular, or pick up a Moog Sub37, TR-8 or TR-9 for their classic sounds. When it comes to mixing, 28mm mixes as he goes. It enables him to keep a handle on where the track is headed and also (because tracks still sound good in progress) helps to keep him motivated. He tends to mix around his kick, using this to level everything else against. This varies for other genres he mixes but for music to play out in clubs, he feels you need the presence of the kick to keep a crowd’s attention. 28mm tends produce fast: if a track is taking longer than a week, 28mm takes this as a signal that the track isn’t coming together and will trash it. His general approach is to produce a number of tracks in quick succession and then decide whether each track is good enough to release, needs more work, or whether it should be trashed. For mastering, 28mm believes the process should be kept separate from mixing but also, that it is not complicated. Check out 28mm’s tips to level-up your mastering above for more detail on how he gets that loud, clean sound. The main thing 28mm wishes he knew when he was starting out was to stop over-thinking and just finish tracks. He feels in the early days this held him back a lot in a creative sense.